For quite a few years now, the really big name in electric cars has been Tesla. Named after the scientist who did a lot of pioneering work in the field of electricity (and, according to popular legend, tried to invent a death ray just like a mad scientist from a cheesy thriller), Tesla vehicles have been considered the crème de la crème of sustainable motoring, the electrical equivalent of Koenigsegg or Lamborghini. By and large, they’ve mostly been something for the very wealthy and mostly those overseas as well. It could be that this is about to change. Last year, Tesla decided to produce a cheaper variety – cheaper being a relative term, of course; it’s got a US$35,000 price tag at the very basic level. 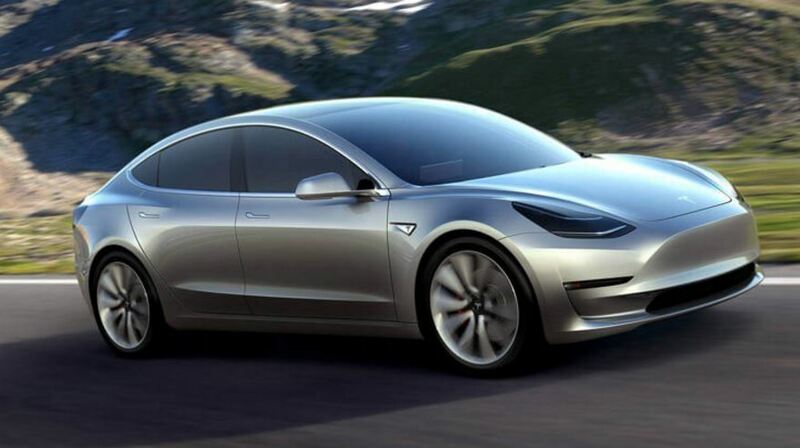 This Model 3 will begin production this year and will probably be fully released in 2018, joining the Model S and the Model X that a select few are already driving. As we don’t usually review Tesla models on our car review pages, as it’s still a very exclusive brand name (any more than you find us reviewing Aston Martins, Ferraris or Rolls-Royces), I thought it would be fun to do a wee review of the new Model 3. After all, you never know; it might take off and be readily available so you may as well read all about it here! The first question that probably pops into anybody’s head when the topic of electric cars crops up is “How am I going to charge the thing?” After all, we all know how quickly our smartphones and tablets lose charge. Tesla has already thought of this. Yes, you can probably charge up a Tesla car or any other electric car at your typical charging station, but Telsa also has a chain of “Supercharger” stations that can charge a Tesla car battery to 80% in half an hour. This translates to 270 km of driving; a typical bog-standard charging station would give you 17 km with half an hour’s charging. These Supercharger stations are located up Australia’s eastern coast – sorry, Perth, Adelaide and Darwin – from about Ballarat, Victoria, through to the Gold Coast. Charging to 100% takes 75 minutes, as the rate of charge is designed to slow down for that final 20% for scientific reasons I can’t quite wrap my head around and am not going to attempt to try explaining. Range-wise, the Tesla Model 3 can do 345 km on a fully charged battery. So what does the “budget” Tesla, the Model 3, have in store for those who decide to put in their pre-orders? It’s a rather sleek looking small luxury sedan that seats five. Unlike the typical fossil-fuel powered vehicle, it doesn’t have a big grille at the front, which is a bit disconcerting at first glance for those of us who are used to the decorative grille styling of, say, BMW or Jeep. It’s certainly picked up a few comments on various online motoring forums. This lack of a grille, combined with the lack of an exhaust pipe at the back, the glass roof and the aerodynamic profile, makes for a very uncluttered look. There appears to be two styles of alloy wheel available, at least according to the official photos, and they look very nice indeed. The official pics also suggest three paint colours: red, black and silver. One of the other features of the Tesla 3 that may be a little disconcerting on the one hand but sophisticated on the other is the autonomous feature or self-driving technology – the motoring equivalent of autopilot (which is what it’s called on the top-of-the-line Tesla models, which are also autonomous). This shouldn’t be a surprise. After all, the head of Tesla Motors is Mr Artificial Intelligence himself, Elon Musk. In the specs department, details are still sketchy. I get the feeling that the company is being deliberately enigmatic – as enigmatic as the eggshell-smooth grille. 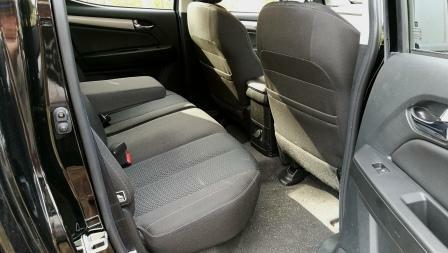 Details are especially sparse regarding the interior. However, we have been told that the rear seats fold flat so that, in combination with the extra space, you can sleep in the back if you want to – or pop in a surfboard. 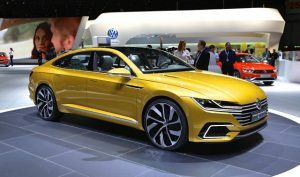 On top of this, all the space up the front that would have been dedicated to an internal combustion engine in a conventional car has been given over to extra luggage space: a front trunk (which another reviewer has called a “frunk”), which is reminiscent of the old classic VW Beetles. The other hot feature that they have let slip is the acceleration: 0–100 in six seconds, which is slower than the Model S’s 2.7 seconds but is still very, very respectable. The Model 3 has also designed to have five-star rating as well. For those who want a bit more, here’s the official release video and speech (with more details about the posher Model S and X). If you’re interested, you can pre-order yours through the official Tesla website . 2017 Volvo S90 D5 Inscription: Private Fleet Car Review. 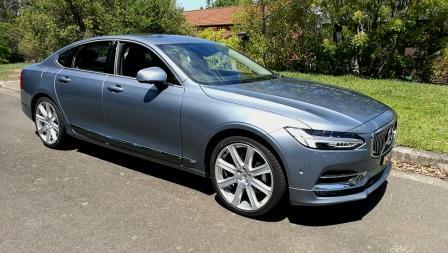 The Swedish car company renaissance continues with the Volvo S90 being released in late 2016. A long, lithe, well proportioned machine, it places the S90 firmly in the large luxury saloon mix, and has both the British and German based manufacturers clearly in its sights. 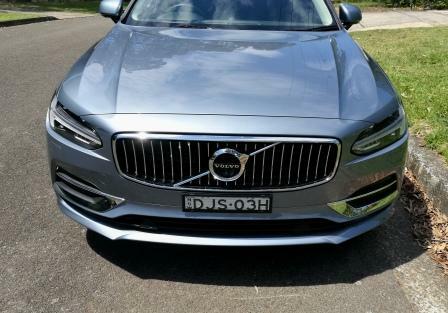 Private Fleet reviews the Volvo S90 D5 Inscription. The range kicks off at $79990; the car tested, the D5 Inscription has a manufacturer’s list price of $96900 and with options fitted tops out at $118555 (plus on roads). The options include heated front seats (again, ventilation for Australian spec cars should be a must) at $650, Head Up Display at $1900, and the superb B & W sound system at $4500. 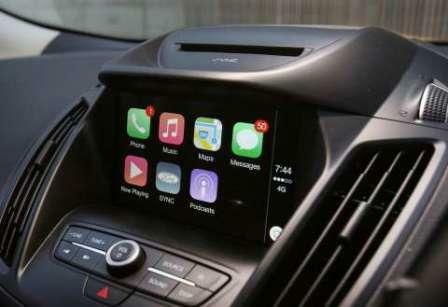 Oddly, Apple CarPlay is also listed as an option ($300) when seen as standard fitment in cars a quarter of the price. Also, it’s said elsewhere that DAB (digital radio) is fitted as standard yet the the test car does not have it. The exterior is a mix of desireable influences; at one angle the view forward of the windscreen is very much BMW 7 series, the grille nods towards Maserati, there’s hints of Jaguar XF in the profile and rear pillar. There’s bendy LED headlights and indicators plus the Hammer of Thor inserts for the headlights. At the rear…well, it’s here things go squiffy. The tail light design is square, angular, blocky, and in Private Fleet’s opinion, just not pretty and at odds with the lithe look anywhere forward. A smoother curved style would, in this reviewer’s humble opinion, be more suitable and balance the rear to the front. 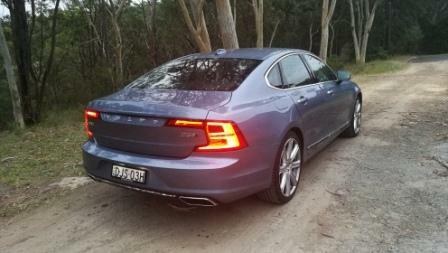 But by no means is the S90 an unattractive car, far from it. It’s a big car, with a length of 4963 mm and wheelbase of 2941 mm offering plenty of leg room straight up with 1071 mm and 911 mm front and rear . Width, sans mirrors, is 1879 mm, providing 1423 mm and 1416 mm in hip room, and an overall height of 1443 mm sees head room of 1027 mm and 961 mm. 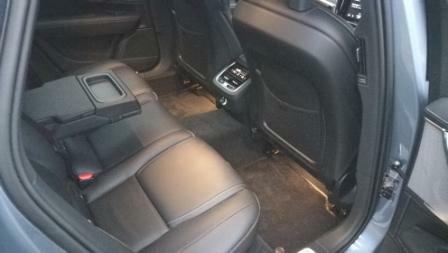 Inside it’s familiar territory from Volvo. 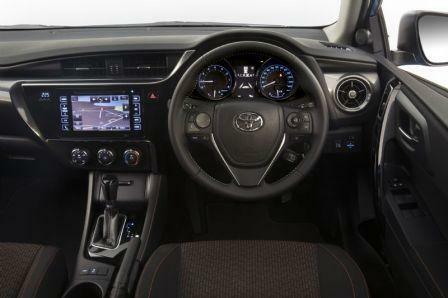 LCD driver’s display, the tablet style touchscreen centrally mounted in the dash, the powered seats, separate aircon controls for the rear seats, an elegance that’s understated yet subtly appreciated pervades the cabin. There’s a two tone mix for the material, with a lighter colour for the pillars and roof lining that provides a light and airy feel. Switchgear is minimal, thanks to just about every operation being controlled via the touchscreen. Although it sounds like a good idea, something like the aircon should still be operated via tabs or buttons, as it’s more likely to be something more often to be adjusted. Using a touchscreen can be advantageous but can also be fiddly and possibly beyond the ability of some drivers. And that’s another thing; althought there’s plenty of safety tech built in, a driver can easily get lost in using the screen’s menu and as a result lost focus of the primary pary of driving (observation) happens. Seats are controllable, as mentioned, electrically, and even something such as a lumbar adjustment pops up on the touchscreen. 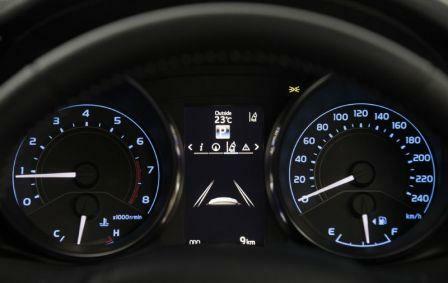 You can change the look of the driver’s display via the onboard menu, compared to other models which allow you to do so via an option accessible from the left hand (in Australia) stalk attached to the steering wheel. There’s Head Up Display fitted, as mentioned, and it’s a proper 3D display too, with speed and speed zones clearly visible AND appreciably different in depth. Again, any changes to the display are made via the touchscreen. There’s plenty of features such as Auto headlights, rain sensing wipers, adaptive cruise and forward collision alert. It’s this last one that gave A Wheel thing a few moments, due to the sesnor being somewhat sensitive, activating the stacatto audio alert and applying the brakes simultaneously…to no vehicle in front. In turns and curves the sensor would read a vehicle roadside and mistakenly think it was directly ahead. Not good for the heart. Moodlighting is restricted to LEDs softly glowing in the doors and in the sills. It’s subtle, unobtrusive at night, and manages to become a backgound, almost subconcious, part of the drive. Sounds come courtesy of that truly beautifully tuned Bowers and Wilkins system, with the English brand fitting their renowned speakers to the S90. 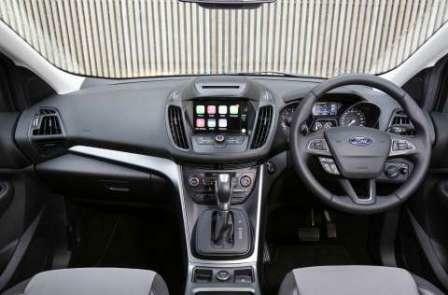 There’s AM/FM/Bluetooth and a single vertically mounted CD slot in the centre console along with Apple CarPlay. In the rear, there’s window blinds and the previously mentioned aircon controls, plus a port that allows access to the boot. Ah yes, the boot. The S90 is a big car, but comes with a spacesaver spare and a boot that is lonnnnnng, but not deep, providing 500 litres of space. Yes, there’s plenty of room for a week’s shopping, but in order to do so, it’s a stretch in towards the back of the rear seat in order to utilise the boot. At least the lid is power operated. 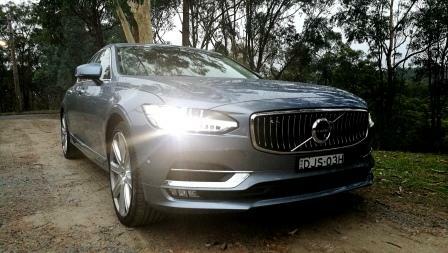 It’s on the road, not unexpectedly, that the S90 gets a chance to show off its acting chops. There’s that two litre diesel up front, with an amazing peak of 470 torques covering either side of the 2000 rpm point. There’s a technology called PowerPulse, Volvo’s attempt to mitigate the off boost lack of urge that turbocharged cars have. In essence, it’s a form of air injection (from air that’s constantly recharging a two litre tank) that gets fed into the system that feeds the turbo and spins the turbo up quicker than waiting for the normal gases. 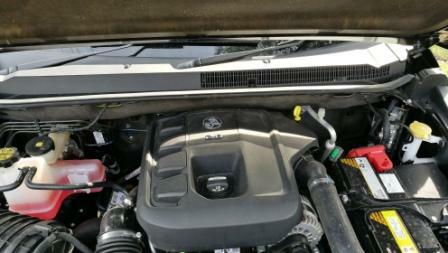 The result is a quicker throttle response and aids greatly in driveability. Plant the welly at the traffic lights and instead of the one…..two….threee…it’s one..two..wow! Tank size varies between 55 or 60 litres, depending on which engine you buy with your new S90. Volvo claims a combined figure of 5.1L/100 km for the diesel engine; impressive given the dry weight of just under 1850 kilograms. A Wheel Thing finished with 8.1L/100 in mostly suburban driving. 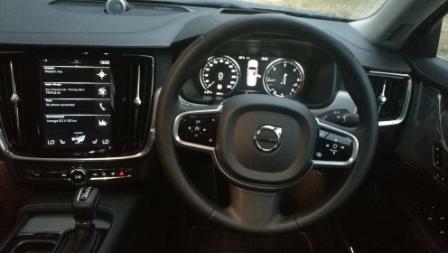 Working hand in hand with the eight speed auto (sans paddle shifts, mind you), the S90 fairly motors along. Factor in that all wheel drive system (sitting on MacPherson struts and multi-link rear) and it’s an intoxicating mix of powerrrrrrrrr, drive ability, handling, and that underlying Volvo bloodline that no longer needs to shout safety. 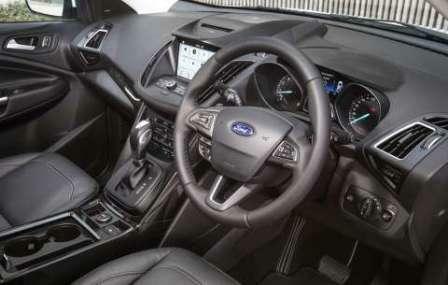 You have a lightly yet well balanced steering feel, with only a slight sense of numbness on centre. There’s a ride that has been worked on to within an inch of its life, offering up the ideal compromise, especially with the size of the car, between luxury and sports and what most would consider to be normal. 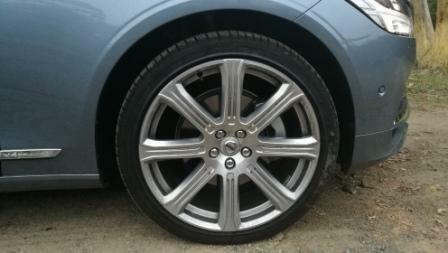 That’s aided by Pirelli’s excellent P-Zero rubber, fitted to (optional) 20 inch diamond cut eight spoke alloys. Brakes? Oh my. Near nigh perfect; there’s feedback as soon as you touch the pedal, allowing you to sense EXACTLY how much pressure you’re applying and how much more needs to be. Tip it in to a hard and off camber corner. Meh, says S90. A long sweeper? Natch. A series of switchbacks? A shrug of the shoulders and the Volvo sits flat and firm through them, with the occupants almost unaware of the situation. Undulations on Sydney’s freeways? Up, down. No float, no uncertainty, no….anything. It’s as if the road varied by a centimetre, not six inches. It’s also easily controlled via the throttle; lean gently on the go pedal in a turn and the rear hunkers down whilst the front searches for the right line. Punt it hard, throw it into a series of turns and it genuinely belies the bulk in its nimbleness. Is it a driver’s car? Ohhhhh yessssssss. Sweden has taken on Germany and has the weapon to front up with confidence. There’s no doubt at all of its ability, its driveability, its technological prowess. From most angles it’s a devilishly handsome thing and it looks good from where it counts: the driver’s seat. No, it’s not perfect but it also provides a better than viable alternative to Mercedes-Benz, BMW, Audi, Maserati, and Jaguar. 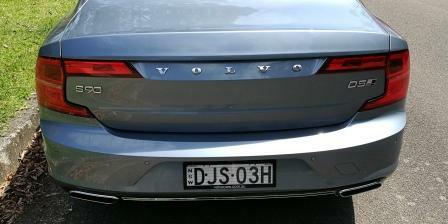 And it spearheads the charge that Volvo has underway to claim it’s the world’s fastest growing luxury car brand. In a year where new car sales catapulted to new heights, surely it would be reasonable to expect that ‘green’ vehicles with alternative fuel technology shared in this growth? If anything, starting from a low base, one might even expect that their year-on-year growth significantly outperformed petrol and diesel vehicles. After all, Australian motorists are supposedly becoming more environmentally conscious and converting to green technology, no? Imagine the surprise then, reviewing the recent sales figures for electric vehicles and hybrids in Australia throughout 2016. Electric vehicles in the private passenger segment decreased from 220 sales in 2015, to a dismal 65. That’s right. Not only did electric vehicles in this segment fail to make any meaningful progression, but a mere 65 were sold right around the country over the course of 366 days – lucky to have that extra day too. As you look across the board in other segments, the numbers for electric vehicles don’t get much better. Sales in the non-private passenger sector decreased 30% (101 vehicles sold). The Private SUV sector sold 7 vehicles, down 92% from 2015 – a number just high enough to count on two hands. The non-private SUV sector decreased 93% from 661 sales in 2015, to 42 in 2016. There’s really no silver lining here at all. 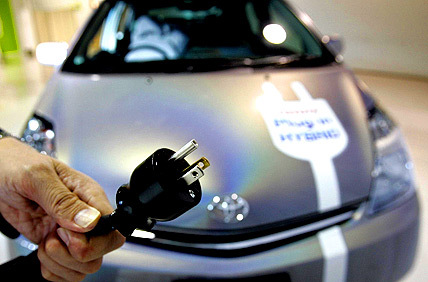 Hybrid vehicles fared significantly better than their ‘eco-friendly’ counterparts, albeit underachieved in some areas. Within the private sector, hybrids saw a respective drop of 4% and 21% for passenger and SUV vehicles. The number of sales for each category however, remains somewhat more respectable than those for electric vehicles at 2,588 and 840.There was encouraging progress in the non-private sector for hybrids, with passenger car sales recording a 9% gain (now 8,049), and SUVs notching up impressive growth of 25% to reach 1,148 sales. Why then, despite the great fanfare surrounding Tesla’s Model 3 last year in April, are alternative fuel vehicles, particularly electric vehicles, struggling to penetrate into the Australian market? Other countries including Norway and India have already announced initiatives to move towards alternative technology, why is Australia late to the party? Is it a case of motorists pinning their hopes on Tesla’s vehicle, and in the meantime exposing the frailty in the EV market? 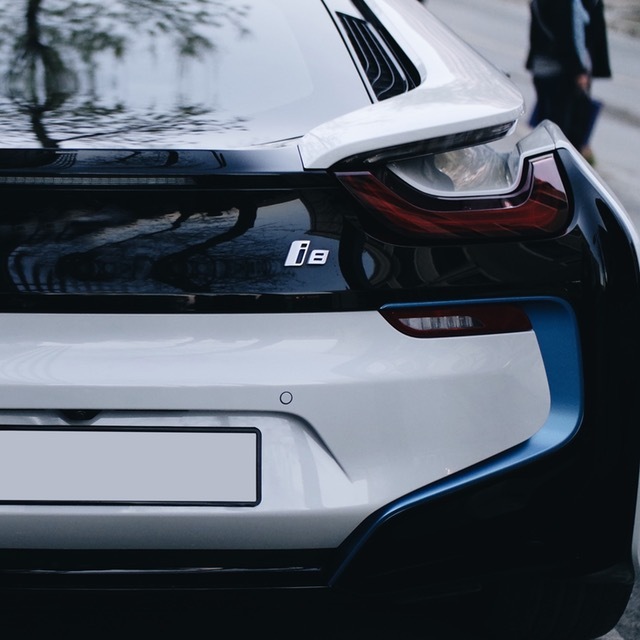 We’ve heard calls from Federal and state governments, the Australian Greens Party, auto-makers like Audi, and other key stakeholders for electric vehicles to be supported through an assortment of initiatives – cheaper rego, lower insurance premiums, subsidised charging, and even the prospect of toll discounts. These are all initiatives that will no doubt prove helpful – if not for the fact that there are two other pressing issues which steer motorists away from electric vehicles – a lack of infrastructure, and vehicle prices. When Tesla’s Model 3 goes on sale later this year, it is set to be priced at $47,500. That’s an improvement over current offerings in the EV market, which range between $55,000 and $130,000. However, the reality is, such a price still represents an imposing figure to motorists who now have access to many ‘affordable’ models of regular vehicles from luxury automakers. Combine that with the fact that motorists are still limited for choice in terms of the necessary infrastructure, and it’s no surprise electric vehicles are losing traction in the market. The Model 3 could be the starting point for a reversal in sales, but without a fundamental shift from other manufacturers, and the necessary support, it could be some time before traditional vehicles are having to fight for their overwhelming market share. Tyre durability and performance are really important factors in how a car handles and steers. Many of us are happy to just jump inside our cars, turn the key and drive away with little thought given to tyre performance, science and design. On the side of your tyre are a whole lot of numbers that mean lots of different things. Let’s take a look at the most important ones. When it comes to a tyre, size really is significant. Ultimately, you want the right size tyre for your car. The car’s designer engineers have tested and proven the right size tyre for you particular car’s design. So getting it wrong here really makes a huge difference to the way your car handles safely. What do the numbers mean? Using an example of a 235/45/17 tyre, these numbers tell us that the tyre’s width is 235 mm. The next number to consider is 45; and this figure is a percentage figure that tells us the height of the tyre wall. So the height of the tyre wall is 45% of the width of the tyre. The width of the tyre in this example is 235 mm, so the height of the tyre’s side wall is 45% of 235 mm which equates to 105.75 mm. Take a look at your car’s tyres and you’ll see there is plenty of other information printed on the sidewall. Some of the other figures you’ll find provide other important information. The load rating, the speed rating and the type of tyre can be found printed on the sidewall of the tyre. An example might be 94Q M+S. This tells us that 94 is the load rating for the tyre which stands for 670 kg. Any weight on the tyre that is less than this means that the tyre will safely perform; exceeding this weight and it becomes dangerous. There is a load rating table that you can refer to in order to make sure that you have the right tyre for your car. Now, the Q stands for the speed rating of the tyre, and in this case Q means that the tyre has been designed to safely perform at speeds up to 160 km/h. Over this speed and the tyre becomes unpredictable and unsafe. The higher the letter, the faster you can go, so a tyre with a Z speed rating will be commonly found on supercars like Porsches and Ferraris. The letters M and S stands for a “Mud and Snow “ tyre design which is a pretty standard all-season tyre – common for many vehicles. You’ll also find the maximum tyre pressure rating. It might be “Max 44 psi”. This stands for the maximum amount of pressure that the tyre can handle without exploding or at least becoming dangerous. This is, however, not the tyre pressure you should set your tyre to for everyday driving. I does depend upon the manufacturers specifications. Generally most cars have their tyres set between 26 and 36 psi, but it’s always best to check the manufactures manual. Trucks and trailers have very different requirements for tyre pressures. You’ll also find the brand of tyre printed on the sidewall. Michelin, Goodyear and Bridgestone are some common reliable brands. Amazingly more than 200 different materials are used in the construction of a tyre, and you’ll find materials like carbon black, silicon, sulphur, plastersizers (which increase the plasticity or viscosity of a material), vulcanizing agents, steel or even Kevlar. These different raw materials are used to make a wide variety of components that are used in the manufacturing of a tyre – each of which give the tyre strength, durability and flexibility. If you’re a driver who wants the best performance and handling from your machine, doing a bit of homework on the brands and types of tyres available, and there reputation in the wet and dry, will help you to make the best informed decision when it comes time to get a new set of tyres put on your car. Some of the better known tyre brands are: Michelin, Bob Jane, Bridgestone, Dunlop, Goodyear, Hankook, Kumho, Pirelli, Continental and Yokohama. Most of all, drive safe out there! 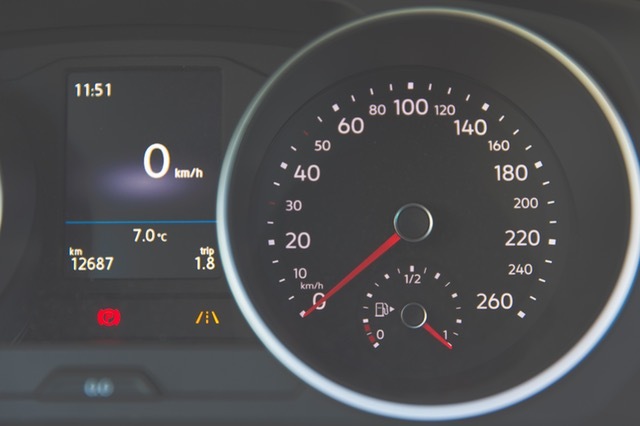 Late last year, shortly before Christmas, the Federal Government released three draft proposals that seek to improve the fuel efficiency of Australian vehicles. As part of the proposed measures designed to make our vehicles cleaner, an overhaul in standards would seek to align local regulations with those found in Europe. Currently, Australia is ranked last among 35 OECD (Organisation for Economic Cooperation and Development) nations for petrol quality. While being touted as a move that could eliminate 65 million tonnes of greenhouse gas emissions before 2030, and also potentially affording motorists’ savings upwards of $500 per year in fuel costs, not everyone is cheering the news. The outcry isn’t so much concerned with the idea of reducing our environmental footprint, but more towards one of the radical overhauls proposed to achieve it. Said proposal involves removing regular unleaded fuel from sale across the country, while also decreasing sulphur limits for premium unleaded and ethanol fuels. The other two measures focus purely on sulphur reduction. Even with headline savings for motorists being touted by the government, it is likely to have a harder time convincing motorists about such savings. This is primarily due to the fact that there is an inherent price gap between regular unleaded fuel, and the next highest grade of fuel – premium unleaded (95). Advocates will suggest that higher grades have a greater driving range that actually make them cheaper to fill per tank. They’ll also note the record number of new car sales, suggesting more and more motorists are converting to vehicles that ‘benefit’ from premium fuels – even though this goes against the fact that some would clearly be disadvantaged by the move. However, as the AAA point out, recent research into fuel emissions has suggested a stark difference in real-world performance compared with laboratory condition. One must also consider that many motorists have a hard time justifying a greater expense at the point of purchase. Analysis should also consider the role that the leading fuel companies will play in this development. The leading implication would be that refineries, already struggling, and even terminals around the country, would need to invest some degree of capex into their assets to facilitate the changes. 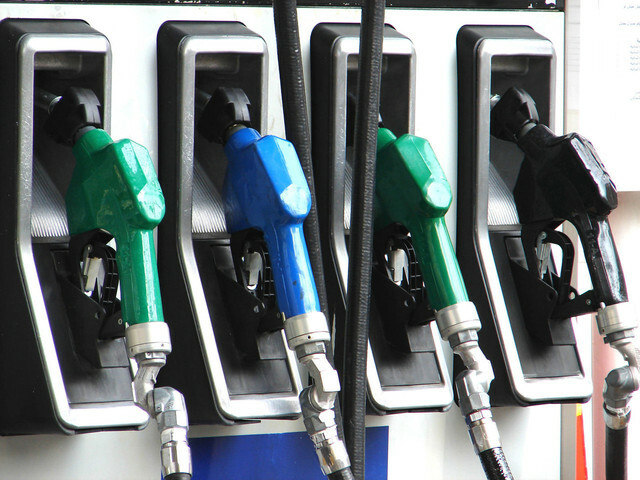 With this, motoring bodies such as the NRMA are concerned oil companies may take advantage of the changes and increase the price differential for premium fuels. If refineries opted to close instead, a reliance on fuel imports would hurt motorists even more. As reported by the Sydney Morning Herald, regular unleaded fuel is used by nearly 80% of motorists outside NSW. Its removal would be sure to draw ire from many in the community. It’s certainly time we cleaned up our game and improve the quality of our fuel, however, offsiding the majority of the population is something that clearly goes against reason. With more practical alternatives being proposed in the form of sulphur limitations, it’s logical we use those as the starting point of what is a much-needed reform. With seeing the New Year in auto enthusiasts can get a bit of a spring in their step as they anticipate the new models of car that will be on sale. This year we’ll be seeing numerous new models for sale in Australia. Here’s the ‘’heads-up’’ for what’s coming. 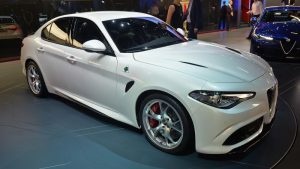 The first quarter of 2017 will see the arrival of the Alfa Romeo Giulia, Audi S4 sedan and S4 Avant wagon, Mazda MX-5 RF, Mercedes Benz AMG E43, Mercedes-Benz E350e, Nissan GT-R Nismo, Skoda Superb Sportline, Toyota C-HR, Holden limited-edition Commodores, Holden Trax, Kia Rio, Suzuki Ignis, Maserati Levante, Porsche 911 GTS, the new BMW 5 Series and the Toyota Yaris facelift. If speed is your thing then, perhaps, the most exciting car to drive in this bunch will be the new Alfa Romeo Giulia, Mercedes Benz AMG E43, Maserati Levante or the Nissan GT-R Nismo. Nissan’s 3.8-liter twin-turbo V-6 will be hard to beat with its full-throttle 420 Nm, six-speed dual-clutch automatic and AWD powerhouse. Expect a 0-100 sprint time of less than three seconds. BMW’s new 5 Series is a ‘pearler’ – combining the best in family luxury and performance. 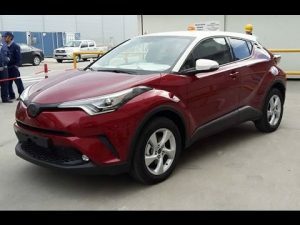 Holden’s limited edition models will be roomy and comfortable, while the Toyota C-HR looks really cool and is sure to be on the radar for those on the lookout for a new small crossover vehicle. Roll on into the second quarter and we’ll see the new Hyundai Genesis G80 boasting a V8 5.0-litre option, however the flagship model still sits pretty with a 3.8-litre V6 alternative. One thing is certain; the Genesis is quiet, large and luxurious. Ride quality is excellent and the car feels well planted with good grip. The new Holden Astra sedan will be another great alternative to other mid-size sedans. We’ll see the new Lexus LC, Suzuki Swift, fast Mercedes-AMG E63 and the new Mercedes-Benz E-Class All-Terrain vehicles. Want a new off-road king pin? Then the last half of the year has Land Rover bringing in their next generation Discovery. This one looks really good. Staying with the off-road theme, a brand new model sees the Skoda Kodiaq rolling on in. 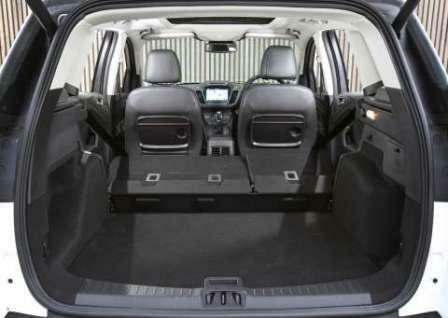 At 4.70m in length the Kodiaq SUV will be a roomy and practical wagon. Other models to be on the lookout for are the Mercedes-AMG GT R, Haval H7 and interesting Volkswagen Arteon. Advance warning is always good, and this “heads-up” 2017 new car list is perfect for comparing and making choices over which new car to buy. Jaguar’s F-Type Ready For 2018 With Updates And New Additions. Jaguar’s F-Type caused a stir when it was released and now it’s set to do the same with a world first in video technology. Here’s what they have to say. “Every F-TYPE now features the Touch Pro infotainment system. Its super-fast responses, intuitive tablet-style operation, intelligent navigation functions such as Share ETA and online services such as real-time traffic and live weather reports make every journey more rewarding and put a world of information at the driver’s fingertips. There’s more: a new R-Dynamic model joins the family, with the 250 kilowatt and 280 kilowatt V6s under the redesigned front end. Yep, the F-Type has had a facelift. For the 2018 model year the front end look becomes clearer and more powerful, with LED headlights adding a technological edge, plus the running lights have double duty, with indicators now their other function. Those headlights have been colour temperature keyed to be 5600 – 6000 Kelvin, giving a natural daytime look along with improving the reach of the lights ahead of the car. Inside, lightweight slimline seats (with Jaguar saying 8 kilos have been saved) deliver more style, more room and greater comfort. 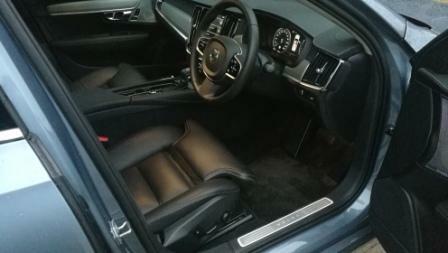 A harmonious selection of new interior finishes and materials give the F-TYPE a more exotic feel. To help celebrate the update, Jaguar will release a new model, available for just 12 months. To mark the introduction of the new F-TYPE range Jaguar has developed the exclusive 400 SPORT launch edition, which will go on sale worldwide but for one model year only. Power from the new 294 kilowatt, or (hence the name)400PS version of the 3.0-litre supercharged V6 engine is complemented by an uprated chassis comprising the Super Performance braking system, Configurable Dynamics and 20-inch wheels with a unique Dark Satin Grey finish. Jaguar have also added a semi automated parking facility; ultrasonic sensors read potential parking spaces for length and if suitable will steer the car in once the driver has engaged Reverse. Throttle and brake are also controlled by the system. Pricing and further details will be released for the Australian market in the early part of Q2, 2017, ahead of the car’s launch in the latter part of Q2. 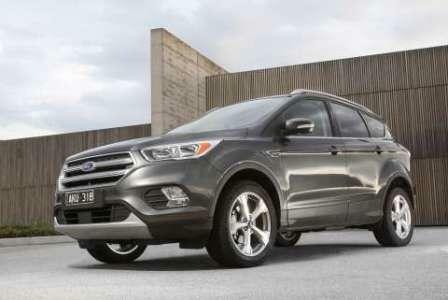 Get away from it all with the Ford Escape. Sharper starting MLP of $28,490. The new Ford Escape will allow drivers to control audio, navigation and other functions plus connected smartphones using simple, more conversational voice commands with Ford’s new SYNC 3^ connectivity system. Ford has drawn on more than 22,000 comments and insights gained from research clinics and surveys to ensure the most customer-centric system to date. Escape drivers can operate SYNC® 3’’s 8.0-inch touchscreen – the largest in this class – in the same way that they use their smartphones. A new interface features larger, easier to operate buttons and enables pinch and swipe gestures for the first time. Apple iPhone users can activate Apple CarPlay, the smarter, safer way to use your iPhone in the Escape, allowing drivers to make phone calls, access music, send and receive messages, obtain directions optimised for traffic conditions and more while they stay focused on the road. Android users can activate Android Auto. Android Auto makes apps and services that drivers already know and love accessible in safer and seamless ways, including Google Search, Google Maps and Google Play. SYNC 3 also delivers SYNC AppLink+ for customers, enabling voice-activation from the driver’s seat of a range of smartphone apps that now includes Spotify, AccuWeather and Pandora+. 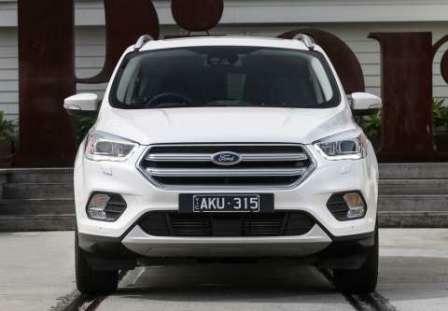 The Escape will introduce a fresh key model to the segment from Ford: the new front-wheel drive 1.5-litre Escape Trend. 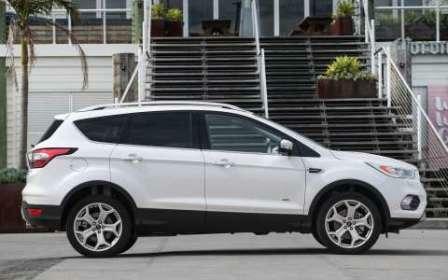 Capitalising on consumer demand for a high level of equipment, safety and technology in a family-friendly package with low fuel consumption, the Escape Trend comes with the proven 1.5-litre EcoBoost four-cylinder with start/stop technology as standard. This enables the Escape Trend to achieve an official 7.2L/100km1fuel economy figure while delivering a fun-to-drive 134kW/240Nm power and torque. Driver engagement is further heightened with paddle-shifters on automatic models, in addition to 18-inch alloys, full-colour reversing camera via the 8.0-inch SYNC 3 touchscreen as well as sat-nav. Sat-nav is standard across the entire Escape range. The Trend also adds convenient features including privacy glass to keep its rear-seat occupants cool, automatic headlights and windscreen wipers. 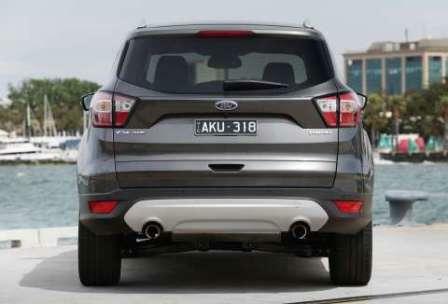 (With thanks to Ford Australia). Toyota Ups The Safety For Corolla. Toyota has further boosted the safety technology for its Corolla hatch with three new leading-edge technologies available across the range. The package – pre-collision safety system with forward collision warning and autonomous emergency braking, lane departure alert and automatic high beam – is now standard equipment on the top-of-the range $30,0201 ZR hatch. The pre-collision safety system, autonomous emergency braking, lane departure alert and automatic high beam are driver assist features only and should not be used as a substitute for safe driving practices. The driver remains responsible at all times for safe driving. Designed to help the driver prevent or mitigate collisions in a wide range of traffic situations, this package is also available as a $7501 option on the other hatch grades, Ascent, Ascent Sport, SX and Hybrid. The arrival of advanced safety features bring the Corolla hatch into line with its sedan sibling, which benefited from a recently introduced upgrade. Corolla, which celebrates 50 years on the Australian market in 2017, has been Australia’s best-selling passenger car for the past four years and is the world’s best-selling nameplate. Toyota’s pre-collision safety system relies on a windscreen-mounted camera and LIDAR (light detection and ranging) sensor to identify and calculate the distance to vehicles ahead. When it detects an impact risk, it triggers audible and visual warnings and primes the brakes for extra stopping force. If the driver doesn’t take action, the system initiates autonomous emergency braking2 to reduce the vehicle’s closing speed. Lane departure alert also uses the camera and LIDAR sensor to identify lane markings and trigger warnings. The system alerts the driver if the car begins to deviate from its lane without the turn signal being operated. 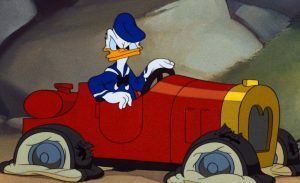 LDA-equipped vehicles have a specific function button on the steering wheel. Automatic high beam for the headlights detects when there is on-coming traffic or vehicles ahead and automatically switches between high and low beam for maximum illumination and vision in night-time driving. Standard safety features across the Corolla Hatch range include seven airbags, whiplash-injury lessening front seats, vehicle stability and traction control, electronic brake-force distribution, brake assist and reversing camera. Corolla hatches are offered with a petrol engine and the choice of six-speed manual gearbox or seven-speed sequential-shift continuously variable transmission (CVT), and as a petrol-electric hybrid with all-gear CVT. 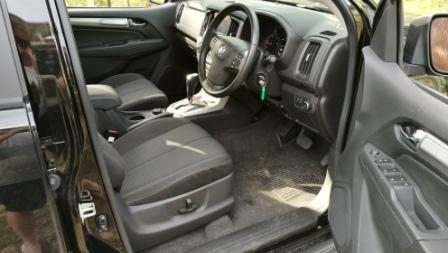 Ascent and Ascent Sport grades are offered with both transmissions; SX and ZR has the automatic CVT exclusively. The manual SX grade has been discontinued. Petrol hatch offers 103kW of power and 173Nm of torque from its 1.8-litre dual VVT-i engine, with combined-cycle fuel economy of 6.1 litres/100km3 for CVT models and 6.7 litres/100km3 for manual models. Corolla Hybrid has maximum combined output from its two power sources of 100kW and combined-cycle economy of 4.1 litres/100km. Naturally, these figures will depend on your driving style and depends on driving conditions. 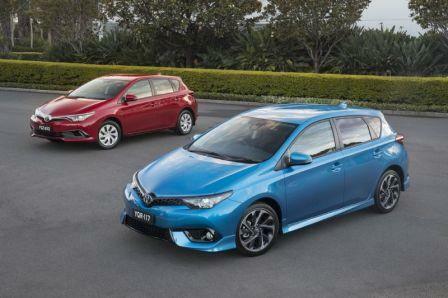 The Corolla hatch range is covered by Toyota Service Advantage capped-price servicing at $140 per service. This is the maximum payable for standard scheduled logbook servicing (normal operating conditions) until first of 3 years or 60,000km (whichever occurs first) (up to the first 6 services). Excludes Government & Rental vehicles. Contact your Toyota Dealer or go to toyota.com.au/advantage for other exclusions, eligibility and full details. 2017 Holden Colorado LTZ: A Private Fleet Car Review. As Holden, the Australian arm of global giant General Motors, winds down in respect to local manufacturing, there’ll be a simultaneous increase in the vehicles being sourced from outside the island continent. 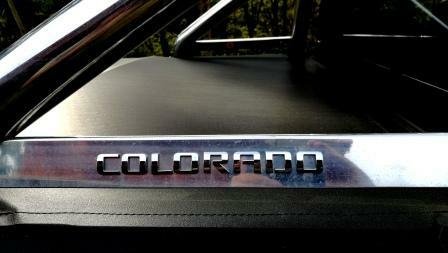 The Colorado, a name with a definitive nod to the Americas, is and has been for some years, one of those vehicles. There’s a three model range, built around the cab chassis, space cab and crew cab, with various trim levels and a mix of two and four wheel drive. We normally spends a week with a car, however due to the Christmas break for 2016, had the Holden Colorado LTZ with 2.8L Duramax diesel for just under three. This included a return trip to the cheese capital of south eastern Australia, Bega, via both the coastal and inland routes. 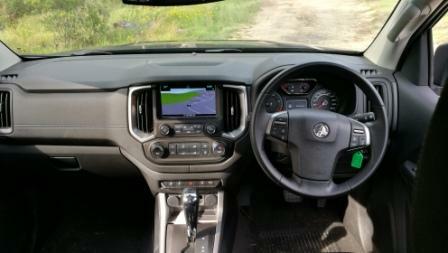 Immediately noticeable is the sheer size of the Colorado; at five point three metres long, it offers plenty of leg room for humans in both front and rear cabin sections (1072 mm front, 872 mm in the rear) thanks to a huge 3096 mm wheelbase and 1800 mm overall height, enough shoulder room for three adults in reasonable comfort in the rear with 1472 mm, and a good sized tray complete with a simple to operate tonneau cover. The test car was coated in dirt and scratch highlighting metallic black. A redesigned front end graces the 2017 spec models, removing the droopy eye look that tied the Colorado to the Malibu and, to a lesser extent, the Commodore. 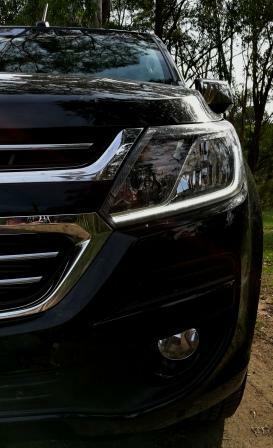 A smaller headlight cluster raises the nose visually, with the heavier two bar grille also replaced with a simpler, slimmer, and more elegant design. 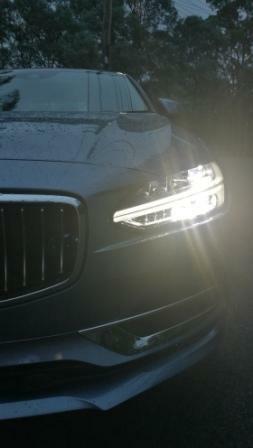 Slimline LED daytime running lights complete the picture. From the rear and in profile, there’s little to differentiate between this and the previous, excepting the sensors front and rear. Inside, it’s a mix of standard Holden switchgear, reasonably comfortable seats (the powered fronts could use more side support and can be optioned for heating in the LTZ but, stupidly, not cooling), some questionable locations for a couple of essential pull tabs, an eight inch MyLink touchscreen (models below have seven inches) of good design with Android and Apple Carplay, a multifunction monochrome driver’s display, and, surprisingly, a forward collision alert system. 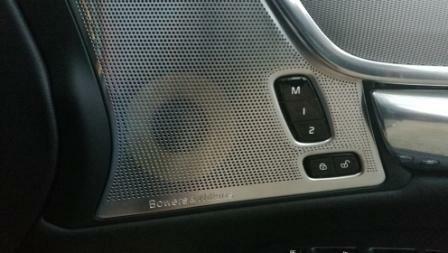 Holden’s website says there’s DAB fitted as well. 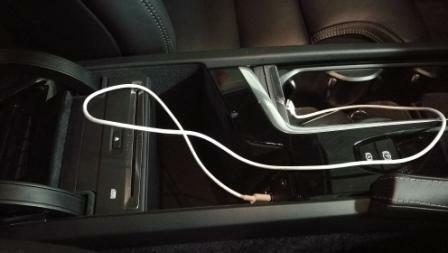 Rear seat passengers get their own 12V socket and you can count on Bluetooth streaming for sounds. There’s even pressure equalising windows, in that they drop automatically when you open the door and raise by themselves when closing. 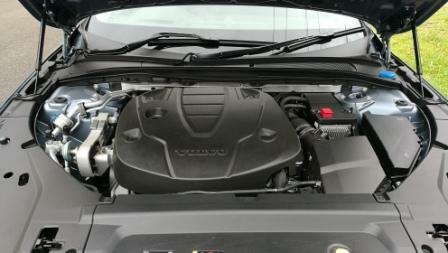 Up front is the Isuzu sourced 2.8 litre Duramax diesel, coupled to a wide ratio six speed auto and electronic four wheel drive system. That’s operated via a centre console mounted dial. When bolted to the auto, there’s a peak torque figure of 500. 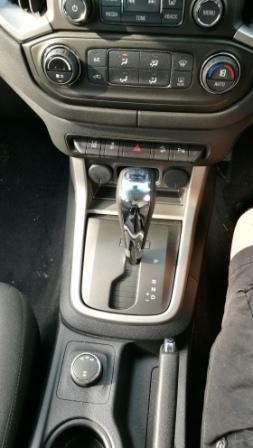 That’s reduced to 440 Nm when the six speed manual is added in and both figures come in at just 2000 rpm. Peak power is a healthy 147 kilowatts and that’s at 3600 revs. After something close to 1700 kilometres of driving, the economy was 8.8 litres of dinosaur juice being consumed for every 100 kilometres covered, with Holden quoting one litre below that for the combined cycle from the 76 litre tank. That’s some good figures to look at, given the 2100+ kg weight of the LTZ before you insert people and cargo. Adding to the occasional pucker factor of passing was the lack of real brake feel. There’s discs up front, drums at the rear, and a pedal that failed to instill confidence due to the lack of bite and comparative need for long travel. The all surface tyres, with a high sidewall, were grippy enough on dry tarmac and wet river sand, but also didn’t feel confident on wet tarmac, particularly in one emergency stop situation. The Colorado was taken through a short stretch of river to test both the four wheel drive and the wading depth capability of 600 mm. With a simple wrist flick, the dial is moved from 2WD to 4WD, and it’s noticeable in the drive train immediately. Eased into the softer shore sand than then gently but consistently run, the two combined to cover the twenty or so metres easily, with the 28 and 22 degree approach and departure angles allowing ease of entry and exit. Match this up against a vastly improved ride quality, however, and the Colorado delights. Gone is the twitchy, jiggly ride, replaced by a firmer yet still compliant handling package, thanks to re-rated leaf springs at the rear and a nicely tuned double wishbone front. 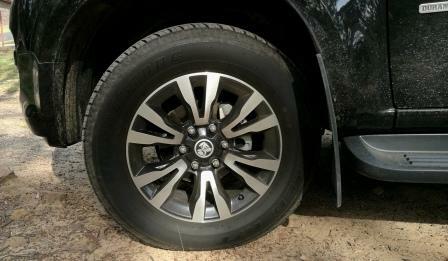 The 265/60/18 rubber from Bridgestone adds to the comfortable flow the vehicle has. 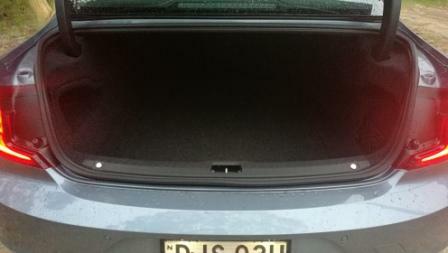 Yes, it’s a touch floaty over the rear yet even that was easily controlled thanks to the addition of luggage. On the sweeping curves of the highway south of Narooma, and on the picturesque Snowy Mountains Highway, this extra stability became evident and allowed for more finesse to be applied to the driving style. On downhill runs, a system called Grade Braking comes into play, dropping the gearbox down a ratio or two, and it becomes a fine mix between the foot playing the brake pedal and accelerator. Handling is predictable, with a well weighted steering set up. Although somewhat vague on centre, it does tighten up considerably and provides good feedback to the driver. It’s not a system that likes being hustled though, preferring the driver to communicate a direction change gently but will begrudgingly accede to a sudden change of direction request. Once you’ve had some time behind the wheel, you’ll get a feel for how the system responds to your input and will be able to judge for yourself just how communicative it can be when required. Turning circle is a smaller than expected 12.3 metres. Acceleration is the same. Although there’s more than an abundance of torque, the ratios in the ‘box don’t translate to rapidity off the line, but will give some urge mid range at highway speeds. Ideal for long overtakes on a country road, for example. Naturally you’ll get Holden’s standard three year/100,000 kilometre warranty, plus lifetime capped servicing, 12 months roadside assist and Holden’s new 24 Hour test service when you’re in the market for a new car such as the Colorado. The Colorado has tough competition in the form of Ranger, Navara, Triton, and Toyota’s seemingly unstoppable HiLux. Looks are well and truly in the eye of the beholder and the 2017 Colorado’s facelift brings it back into play over the previous model, in our opinion. The onboard range of features and tech, the carlike ride quality, and the roomy interior bring the vehicle well and truly into the ring. 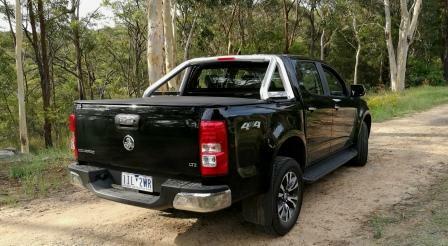 The Colorado is now a stand-up contender in the family four door ute stakes.